Founders is home to Graduate and International Program for students at the Gould School of Law. 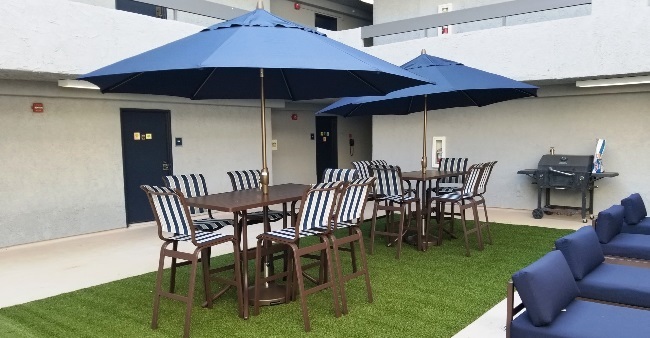 This three-story, modern apartment building located in the heart of student housing in the north university campus area.Students may select from two floor plans. 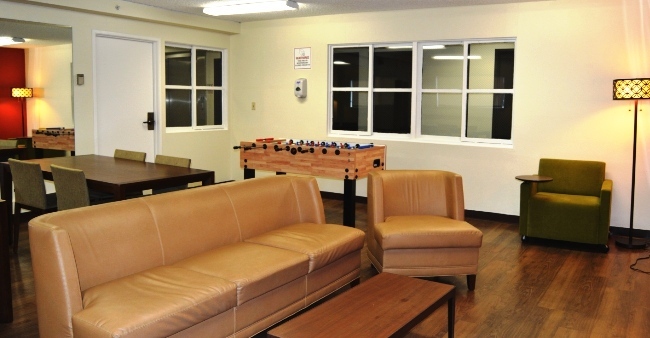 The three bedroom for three people option provides each resident with their own bedroom,along with a shared kitchen, bathroom and a bartop dining area. 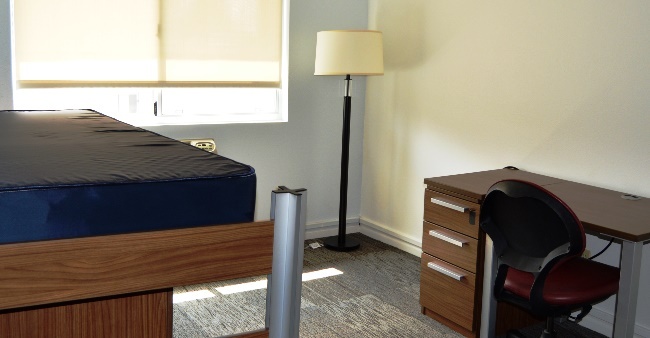 The more affordable four person configuration is similar, but places two students in each of the bedrooms and has a small common room. 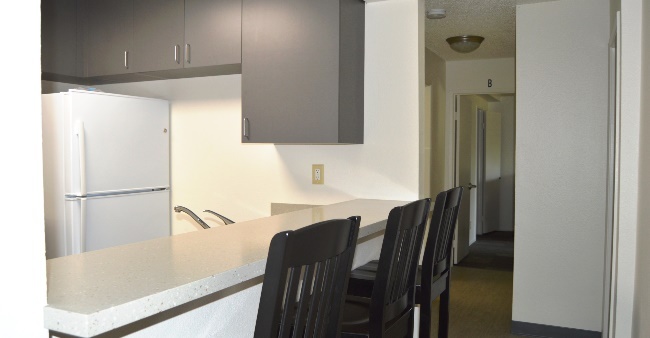 The apartments have new luxury furnishings, laminate flooring, colored accent walls, and modern window shades. 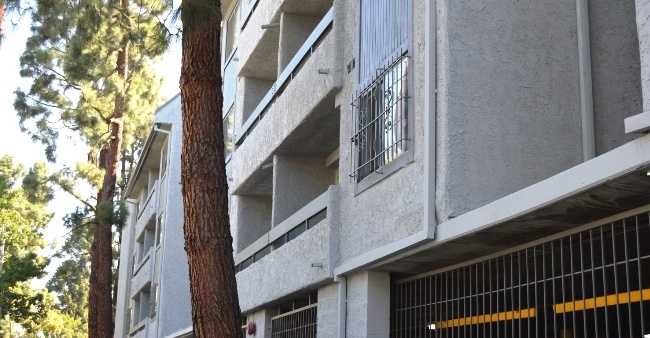 All units have air-conditioners and many have balconies. 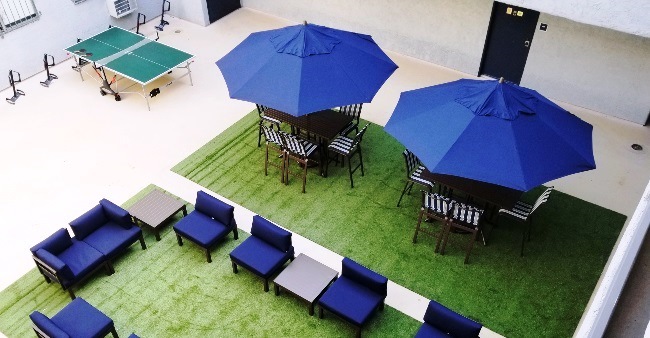 Residents can relax in Founder’s courtyard sundecks complete with picnic tables and chaise lounges and keep fit in the 24-hour workout center. Students selecting the building have the option of choosing either an August-to-May Graduate Academic Year contract term or the August-to-July Graduate Full Year contract term. 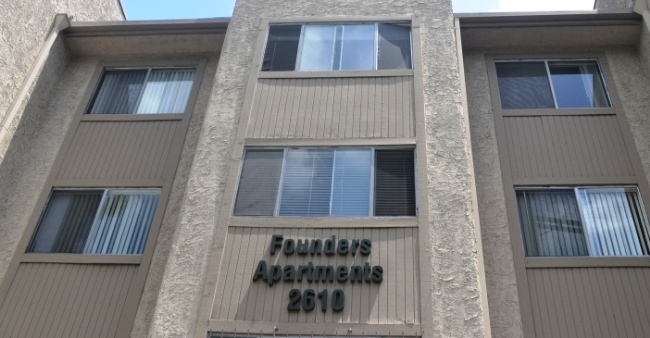 Founders has a ground level garage and secured bicycle parking is available. There is a USC bus stop in front of the building, making it easy to get to campus. 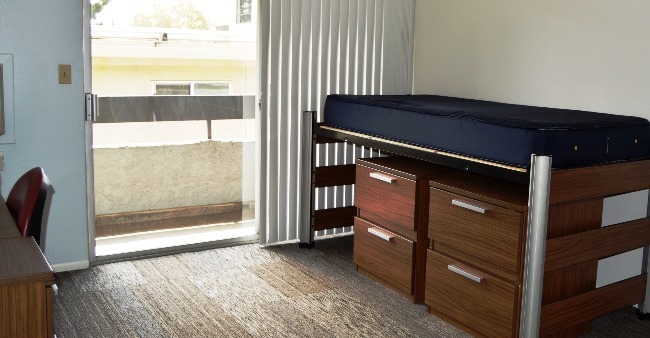 In partnership with USC Housing, the USC Gould School of Law is one of the few law schools to offer housing to its students. 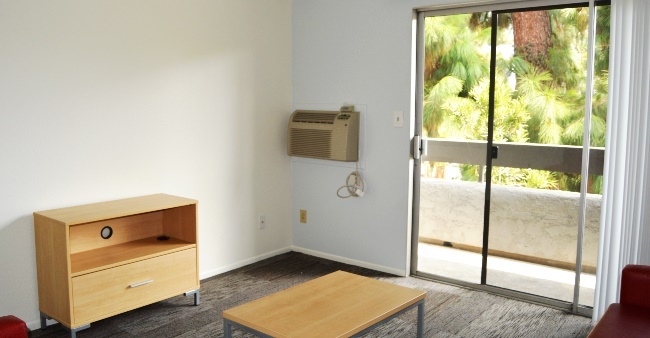 The Graduate and International Program is designed to meet the needs of international graduate law students by providing them with safe convenient and full-furnished housing at a competitive rate. 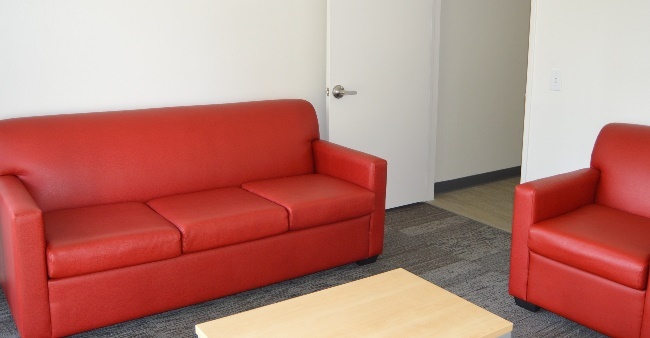 In order to secure a space in Founders, applicants must apply for housing by April 26, 2019. 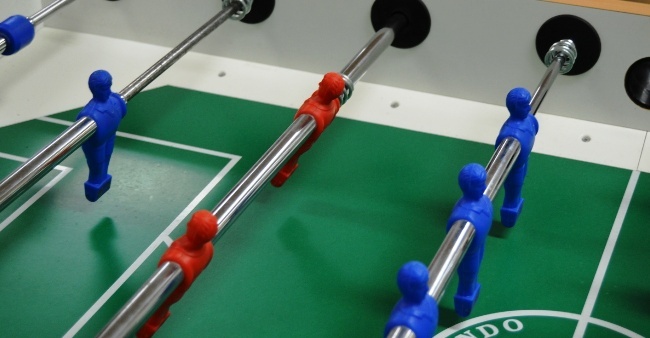 Students in this program may request either a 9-month or 12-month contract period when applying. 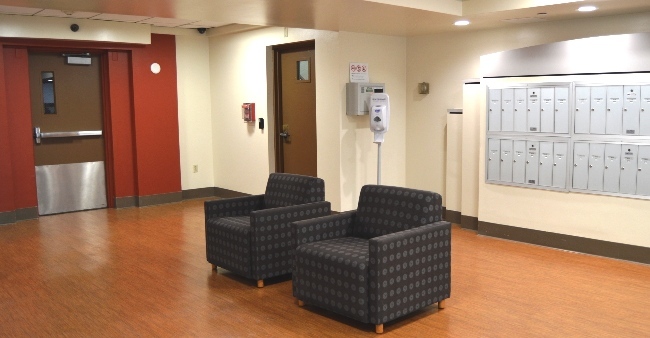 The options allow residents to move-in to their apartments in early August, a few weeks in advance of the start of fall classes and stay through mid-May 2020, or until the end of July 2020, for those who plan to sit for a U.S. Bar Exam.